A number of new scholarly books on martial arts have come across my desk in the last month. This field is in its infancy and I am exited to be part of the project of defining and inspiring it. In that spirit, there is much in these works to praise, much to criticize, a yawn here and there, and a few things that need to be stopped dead in their tracks. So this is the third of a series in which I will discuss individual essays within larger works. The following essays are from a collection edited by Thomas A. Green and Joseph R. Svinth titled, Martial Arts in the Modern World (Praeger, 2003). Yamada Shoji's, "The Myth of Zen in the Art of Archery," is a hilarious romp. The German guy, Eugen Herrigel, who wrote the book, Zen and The Art of Archery, was so enthusiastic about Zen that he projected Zen into his study of Archery. In Japan, Zen wasn't associated with Archery until Herrigel's book was translated into Japanese. The confusion is also do to the fact that the particular Archery teacher Herrigel hooked up with (Kenzo Awa) was more than a little eccentric, he had gone through a personal mystical enlightenment experience while practicing alone at night in which his "self" exploded into tiny grains of dust. But even so Shoji suggests that most likely the connection of Archery to Zen was the result of mis-translations, like one that happened when Awa accidental split one of his own arrows in the center of the target while shooting at night in the dark. In Japan, splitting an arrow is very bad form because you are damaging your equipment. Awa probably said something like, "Whoops, accidents happen," and Herrigel took that to mean something like, "Actions happen of their own accord, this is do to Buddha Nature." 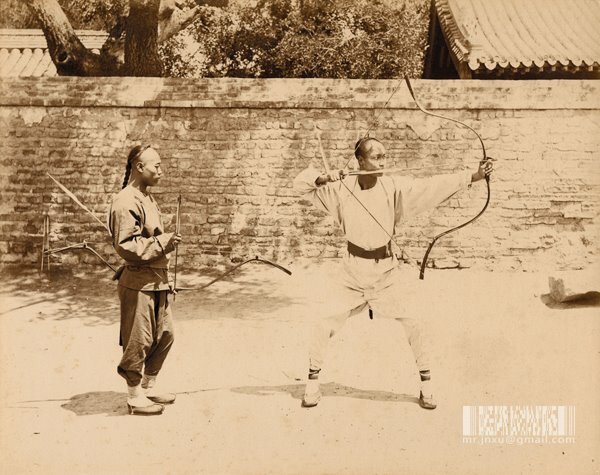 The next essay by Stanley E. Henning is titled, "The Martial Arts in Chinese Physical Culture, 1865-1965." It's a sort of journalistic survey of other works which is biased by a sort of 1970's Taiwanese Nationalism. Here, "martial arts" gets reductively defined as utilitarian combat skills. Not coincidentally, all he has to offer about martial arts prior to 1900 are accounts of sensational violence from what must have been a kind of tabloid entertainment rag (think: 'Baby Born With Three Heads!'). There is a parallel here between this approach and the approach of Daoist experts (1950-1990) who went around saying that Daoism is a philosophical way of life and not a religion, dismissing actual Daoists as superstitious and ill-informed villagers who perform silly rituals. Henning's references to historical works about how Nationalists and Communists have influenced the development and perception of martial arts are excellent. Anyone not already familiar with this material will certainly benefit from that aspect of this article. (Also see my review of Andrew D. Morris's Marrow of the Nation, of Qigong Fever, or here for a discussion of Lineages.) But Henning's reductionist definition of martial arts can no longer be taken seriously. To dismiss religious, ritual, and theatrical origins of martial arts as some form of failure, or deficiency, or superstition, or side track, or degradation from a past purity, is nothing less than cant. Is Gina Carano a Feminist?